Home Looking for Owner of a Stylish 2-Story, with Luxury Finishes, at an Affordable Price! As you enter the hardwood floored foyer you're welcomed by oversized family room w/vaulted ceiling that flows to the eat-in kitchen & a designer powder room. The gourmet kitchen has granite countertops, SS appliances, tile backsplash, tile floors & gorgeous white cabinetry! Off the dining area is a large deck w/ wide staircase onto manicured lawn. Upstairs sits 3 nicely sized bedrooms, 2 full bathrooms w/granite counters, tile flooring & storage. The master bath has tile shower w/ glass enclosure. Head downstairs to a mostly finished walkout basement. Makes a perfect rec room w/ space for exercise & entertainment, & 2 oversized closets. Additional highlights: brick accent front, large shed, private tree lined backyard, beautiful views, hardscaped & landscaped yard. 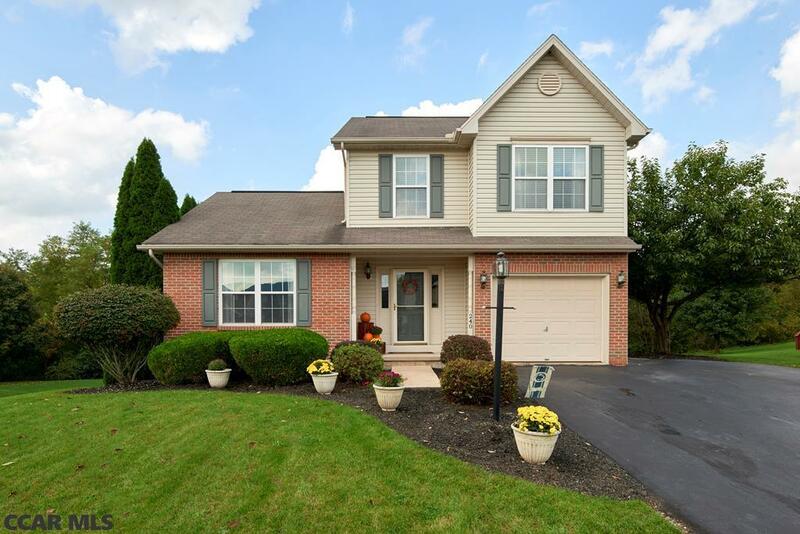 Tucked away in Steeplechase Community between State College & Bellefonte w/ Shopping & entertainment a stone's throw away.